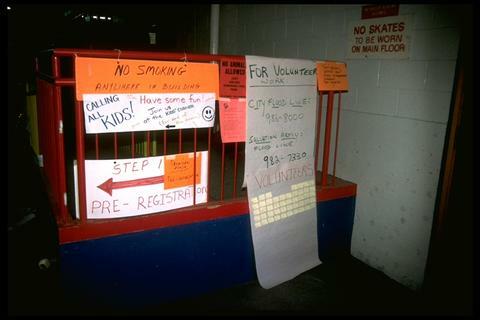 A photograph of signage at the flood evacuee reception centre at St. Vital Arena during the 1997 flood. Photo copied from compact disc and converted from .PCD file to .JPG. File list on CD insert.